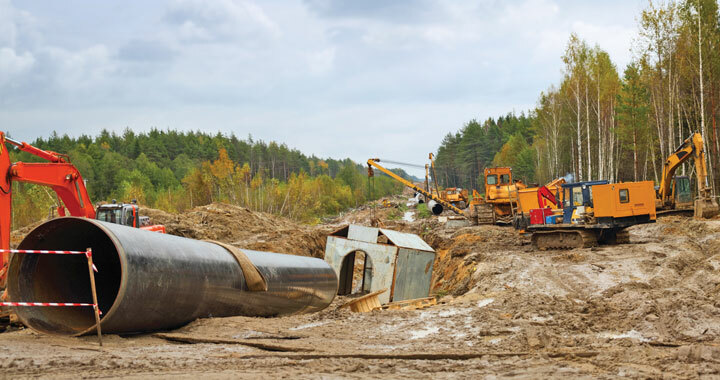 Project Roundup: The following oil and gas pipeline projects have been announced. Projects are in order of most recent approximate starting date. All projects are for 2018 unless noted. Northern Clearing Inc. was awarded a contract by Price Gregory International Inc. for clearing on approximately 62 miles of 36-in. pipeline right-of-way in Northampton, Halifax, Nash, Wilson and Johnston counties, North Carolina. Headquarters is not yet determined. The superintendent is Patrick Wolfe. Approximate start date: July 9. Earth Pipeline Services Inc. was awarded a contract by C.J. Hughes Pipeline for clearing on approximately 5 miles of 24-in. pipeline right-of-way in Harrison County, West Virginia. Headquarters is Canonsburg, Pennsylvania. The superintendent is Larry Prater. Approximate start date: June 28. R-Value Foam Insulation LLC was awarded a contract by Welded Construction LP to provide foam breakers on approximately 18.5 miles of 24-in. pipeline on the Saginaw Trail Project in Genesee County, Michigan. Headquarters is Mt. Morris, Michigan. The superintendent is Mark Benaske. Approximate start date: June 26. B&N Clearing and Environmental LLC was awarded a contract by Price Gregory International Inc. for right-of-way clearing on approximately 4.75 miles of 24-in. pipeline right-of-way in Marshall County, West Virginia. Headquarters is New Martinsville, West Virginia. The superintendent is Kevin Newcomb. Approximate start date: June 25. Dykon Blasting Corp. was awarded a contract by Mountain Valley Pipeline LLC for blasting work on approximately 7.13 miles of 42-in. pipeline in Nicholas County, West Virginia, 18.82 miles of 42-in. pipeline in Greenbriar County, West Virginia and 0.27 miles of 42-in. pipeline in Fayette County, West Virginia. Headquarters is not yet determined. The superintendent is Jared Redyke. Approximate start date: June 25. The HDD Co. Inc. was awarded a contract by ARB Inc. for four horizontal directional drills for 24-in. pipeline in multiple locations of San Mateo, California. Headquarters is on the jobsite. The superintendent is Neil Swope. Approximate start date: June 25. The Hillis Group LLC was awarded a contract by Williams Gas Pipeline for four recoats on a 24-in. pipeline in Monroe County, Pennsylvania. Headquarters is White Haven, Pennsylvania. The superintendent is Greg Kunes. Approximate start date: June 25. The Hillis Group LLC was awarded a contract by Henkels & McCoy Inc. for restoration work on approximately 22 miles of pipeline in Columbia and Luzerne counties, Pennsylvania. Headquarters is Sweet Valley, Pennsylvania. The superintendent is Josh Kunes. Approximate start date: June 25. Penn Line Service Inc. was awarded a contract by Rockford Corp. for hydroseeding on 5 miles of 16-in. pipeline right-of-way in Susquehanna County, Pennsylvania. Headquarters is on the jobsite. The superintendent is Jim Pratt. Approximate start date: June 20. Penn Line Service Inc. was awarded a contract by Price Gregory International Inc. for restoration on approximately 20.75 miles of 36-in. pipeline in Ritchie, Calhoun and Wirt counties, West Virginia. Headquarters is on the jobsite. The superintendent is Ron Ringer. Approximate start date: June 20. T.G. Mercer Consulting Services Inc. was awarded a contract by Berg for pipe yard construction and the offloading and racking of 70 miles of 36-in. pipe in Weld County, Colorado. Headquarters is Willow Park, Texas. The superintendent is Michael Magee. Approximate start date: June 20. BigInch Fabricators & Construction Inc. was awarded a contract by Energy Transfer for the relay of 150 ft of 22-in. pipeline in Hamilton and Madison counties, Indiana. Headquarters is Montezuma, Indiana. The superintendent is Jim Shepler. Approximate start date: June 18. Price Gregory International Inc. was awarded a contract by XCL Midstream Operating LLC to install approximately 4.74 miles of dual 24-in. pipelines in Marshall County, West Virginia. Headquarters is Belmont, Ohio. The superintendent is Tommy Hardwick. Approximate start date: June 18. Snelson Cos. Inc. was awarded a contract by Pacific Gas & Electric to rebuild a 34-in. pipeline span support in Kern County, California. Headquarters is not yet determined. The superintendent is Trevor Payne. Approximate start date: June 18. Snelson Cos. Inc. was awarded a contract by Pacific Gas & Electric to install a pig launcher on a 42-in. pipeline, in Yolo County, California. Headquarters is not yet determined. The superintendent is Norman Glenn. Approximate start date: June 18. Snelson Cos. Inc. was awarded a contract by Williams NWP to replace two 30-in. mainline valves in King County, Washington. Headquarters is Redmond, Washington. The superintendent is Bob Angelocci. Approximate start date: June 18. U.S. Pipeline Inc. was awarded a contract by Enbridge Energy to provide welding support for mechanized welding procedure qualifications for the pending Enbridge Line 3 Replacement Project. Headquarters is the warehouse. The superintendent is Dana Bratcher. Approximate start date: June 18. T.G. Mercer Consulting Services Inc. was awarded a contract by Atmos for pipe yard construction and the offloading racking, and loadout of approximately 10 miles of 20-in. pipe in Wichita County, Texas. Headquarters is Willow Park, Texas. The superintendent is Michael Magee. Approximate start date: July 16. New Mexico. Headquarters is Willow Park, Texas. The superintendent is Michael Magee. Approximate start date: July 16. United Piping Inc. was awarded a contract by BP Pipelines for integrity management and maintenance work in various statewide locations in Illinois, and Jasper, Lake La Porte, Newton and Porter counties in Indiana. Possible additional work in Iowa, Ohio, Mississippi, Tennessee, Kansas, Oklahoma, Missouri, Kentucky, Alabama, Texas and Michigan. Headquarters is Morris, Illinois. The superintendent is Nate Rickard. Approximate start date: June 13. BigInch Fabricators & Construction Inc. was awarded a contract by Energy Transfer for nine anomaly repairs on a 24-in. pipeline in Parke and Putnam counties, Indiana. Headquarters is Montezuma, Indiana. The superintendent is Chris Elliott. Approximate start date: June 11. InfraSource Construction LLC was awarded a contract by Vectren for filter installation in 10 regulator stations around in Vanderburgh County, Indiana. Headquarters is not yet determined. The superintendent is Brendon Green. Approximate start date: June 11. Rockford Corp. was awarded a contract by Dominion Transmission for contractor yard preparation in Cumberland County, North Carolina. Headquarters is Fayetteville, North Carolina. The superintendent is Dicky Langston. Approximate start date: June 11. Snelson Cos. Inc. was awarded a contract by Pacific Gas & Electric for pigging approximately 1,500 ft of 6-in. pipeline in Fresno County, California. Headquarters is not yet determined. The superintendent is Chris Sullivan. Approximate start date: June 11. Snelson Cos. Inc. was awarded a contract by Pacific Gas & Electric to replace approximately 3.5 miles of 24-in. pipeline in San Joaquin County, California. Headquarters is not yet determined. The superintendent is Lou McMullen. Approximate start date: July 9. United Piping Inc. was awarded a contract by BP Pipelines for the Xylene purging of three sites of 8- and 10-in. pipelines in Vanderburgh County, Indiana, McLean and Christian counties in Kentucky. Headquarters is Morris, Illinois. The superintendent is Jim Bailer. Approximate start date: June 9. InterCon Construction Inc. was awarded a contract by Enbridge Energy for pipeline integrity digs within McHenry, Kane, Cook, DuPage and Will counties, Illinois. Headquarters is not yet determined. The superintendent is Lloyd Pedersen. Approximate start date: June 8. Phillips and Jordan Inc. was awarded a contract by Rockford Corp. for right-of-way clearing on 5 miles of 20-in. pipeline in Okeechobee and Indian River counties, Florida. Headquarters is Okeechobee, Florida. The superintendent is James “Bucky” Lane. The approximate start date is June 5. Price Gregory International Inc. was awarded a contract by NorthStar Energy Services Inc. for anomaly digs and cutouts on an 8-in. pipeline in Boone and Kenton counties, Kentucky. Headquarters is unknown. The superintendent is Darryl Ditterline. Approximate start date: to be determined (announced June 4). R.L. Coolsaet Construction Co. was awarded a contract by Consumers Energy for the fabrication and installation of crossover facilities at existing valve sites in Genesee County, Michigan. Headquarters is Clio, Michigan. The superintendent is Randy Recker. Approximate start date: June 4. R.L. Coolsaet Construction Co. was awarded a contract by Consumers Energy for the fabrication and installation of crossover facilities at existing valve sites in Genesee County, Michigan. Headquarters is Mount Morris, Michigan. The superintendent is not yet determined. Approximate start date: June 4. R.L. Coolsaet Construction Co. was awarded a contract by DTE Energy for the fabrication and installation of one 16-in. launcher and related piping in Muskegon County, Michigan. Headquarters is Muskegon County, Michigan. The superintendent is Kevin Scully. Approximate start date: June 4. United Piping Inc. was awarded a contract by Enbridge for punch list work on the Nushka Lake Project in Cass County, Minnesota. Headquarters is Duluth, Minnesota. The superintendent is Cory Halberg. Approximate start date: June 4. Gabe’s Construction Inc. was awarded a contract by DTE Midstream Appalachia LLC for multiple 12-in. pipeline horizontal directional drill crossings of 890 ft, 1,053 ft, 960 ft and 1,500 ft in Berks County, Pennsylvania. Headquarters is the jobsite. The superintendent is Steve Huibregtse. Approximate start date: June 1. MAXX HDD LLC was awarded a contract by Associated Pipe Line Contractors for two 12-in. horizontal directional drills in Montgomery County, Pennsylvania. Headquarters is Blue Bell, Pennsylvania. The superintendent is James Bond. Approximate start date: May 30. Associated Pipe Line Contractors Inc. was awarded a contract by Texas Eastern Transmission Ltd to install 0.8 mile of 12-in. pipeline in Montgomery County, Pennsylvania. Headquarters is Blue Bell, Pennsylvania. The superintendent is James Silva. Approximate start date: May 29. U.S. 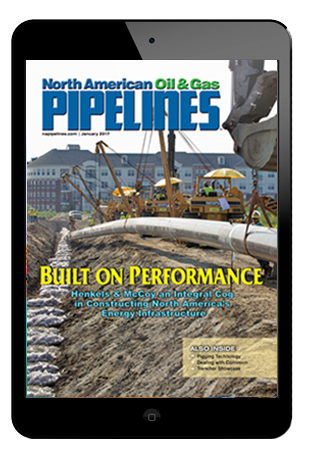 Pipeline Inc. was awarded a contract by Atlantic Coast Pipeline LLC to install approximately 17.8 miles of 42-in. pipeline in Pocahontas County, West Virginia and Highland County, Virginia. Headquarters is Frost, West Virginia. The superintendent is Jason West. Approximate start date: May 29. Price Gregory International Inc. was awarded a contract by Atlantic Coast Pipeline LLC to install approximately 6,000 ft of 42-in. pipeline in Lewis County, West Virginia, and to install approximately 84,671 ft of 42-in. pipeline in Harrison County, West Virginia. Headquarters is Jane Lew, West Virginia. The superintendent is Russell York. Approximate start date: not yet determined (announced May 28). Pe Ben USA Inc. was awarded a contract by Berg Pipe – ETC Wekiva Parkway Project for the offloading and racking of 3.5 miles of 26-in. pipe in Seminole County, Florida. Headquarters is Sanford, Florida. The superintendent is not yet determined. Approximate start date: May 23. Brandenburg Drainage Inc. was awarded a contract by Minnesota Limited LLC for drain tile repair and right-of-way clearing and punch list work on 133 miles of 12-in. pipeline in Ashland, Carroll, Harrison, Huron, Seneca, Stark, Tuscarawas and Wayne counties, Ohio. Headquarters is not yet determined. The superintendent is Steve Brandenburg. Approximate start date: May 21.